BET KANU is a team of creatives with a mission to build a foundation to advance the endangered dialects of the Syriac language. We achieve this goal by creating all types of media products such as web and mobile applications, websites, animations and books. Our full-time team of talented professionals in the homeland works seamlessly with the supporting volunteers in the diaspora to offer the best possible learning resources. What does BET KANU mean? Bet is the Akkadian word for house and is used today by Syriac speakers. Kanu is also an Akkadian word that means to be firm, to establish , to be permanent which has a connection with the Classical Syriac word of Kiyana/Kiyanu which means the creative force. 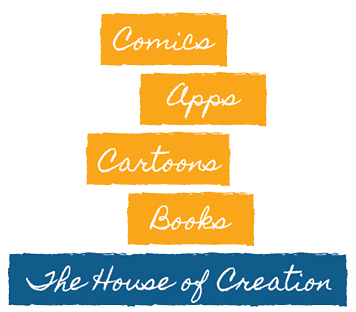 The Slogan of our Team is The House of Creation. BET KANU is a team of creatives with a mission to build a foundation to advance the endangered dialects of the colloquial Syriac language. We achieve this goal by creating modern tools such as mobile apps, web cartoons, comics, and more. Our full-time team of talented professionals in the homeland works seamlessly with the supporting volunteers in the diaspora to offer the best possible learning resources. © 2018 BET KANU. All rights reserved.